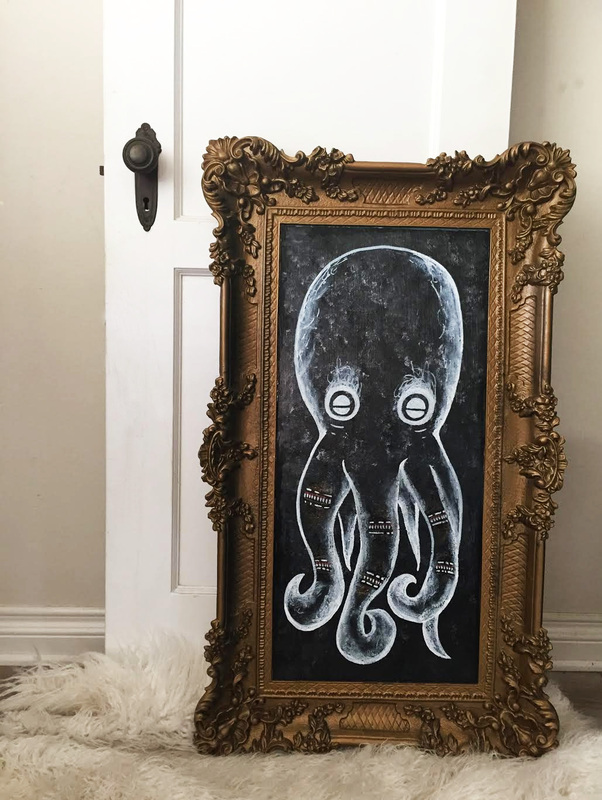 Original painting on recycled frame. A complex invertebrate flowing freely through the vast ocean, skilled in the art of color change. It’s amazing creatures like the octopus that make me appreciate the beautiful life we live. Although I love my cat (evil little punk) I’d have to say the butterfly is my favorite animal. The colors, the detail, the way they gracefully float through the sky. There’s something peaceful and inviting about them yet they never let you get too close.